Thank you for joining us on this Blog Hop as we feature our newest Cricut Collection, City Sidewalks. It is a mini digital collection that contains 30 holiday images you will love. If you are coming from Cat's Blog, you are on the right track. You can find a complete list of participants if you click here. I had such a fun time creating this home decor item to fit an 8" x 10" frame. It has been a big hit for those who have seen it in person and the frame, purchased at Hobby Lobby, was perfect. 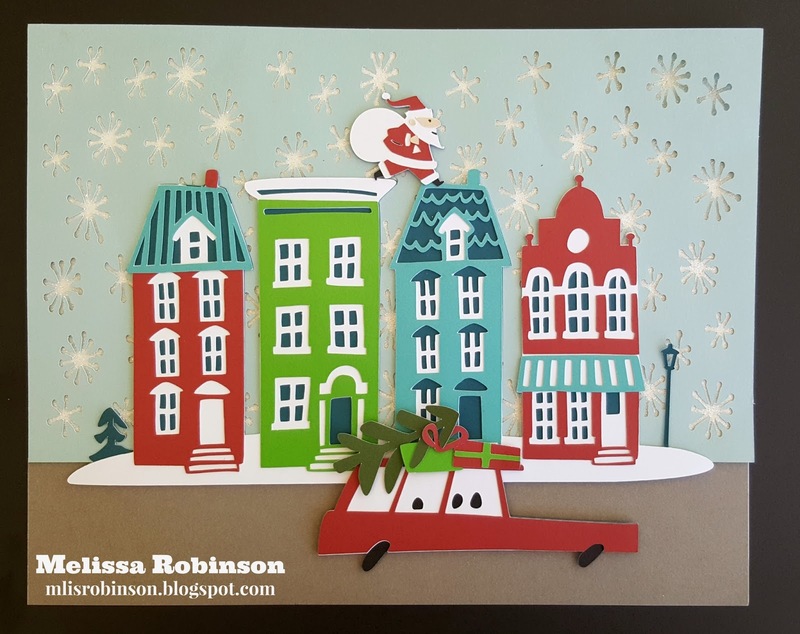 After sizing and designing it in Design Space, with the help of my friend, Pamela Thorn, I layered all the pieces together and this was the result. White Glitter Paper was placed behind the snowflake-filled Glacier cardstock (difficult to tell from the photos). I ended up providing this as a gift at a Stamp Camp I recently attended so I will have to make another for myself. 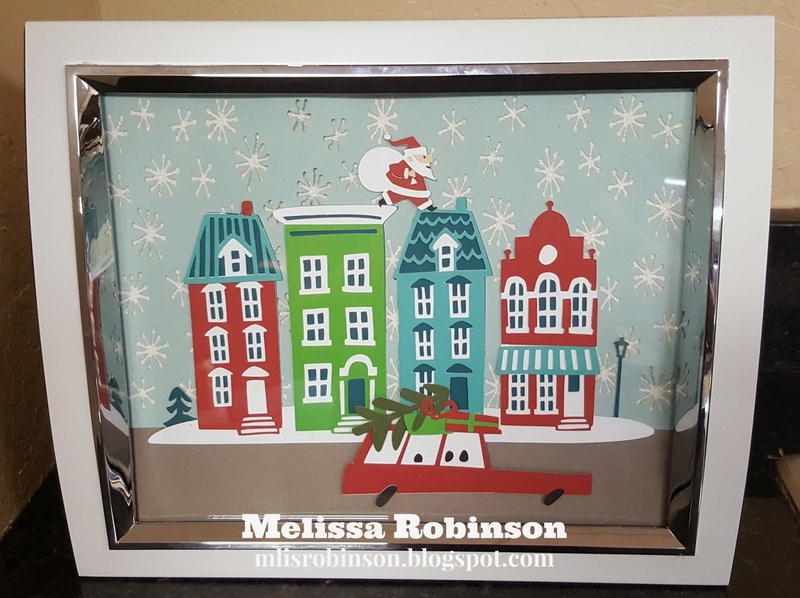 I love being able to create a fun and festive home decor item at a very reasonable price. 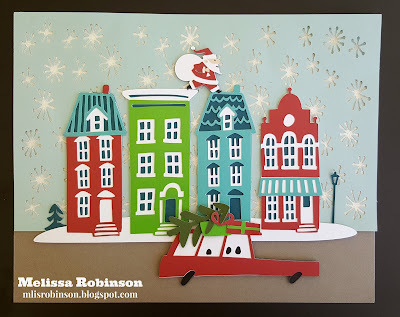 That is one of the things that drew me to papercrafting. 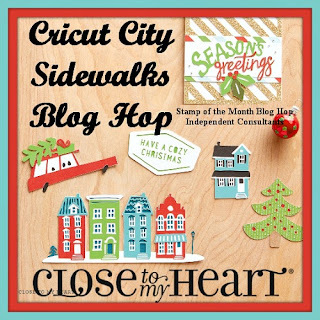 Consider letting me know what you think of my artwork before heading on over to Michelle Jones's Blog to see what she created with this City Sidewalks Digital Collection. Happy hoppin' and remember...Make It From Your Heart! Thank you for saying so, Gina! This is so pretty, what a great feature piece of home decor! Thank you! I actually gave this away as a gift so I guess it's time to make one for me! Adorable. I love how Santa's hopping from one rooftop to the next. Beautiful decor! LOL Thanks! I thought it would be fun to make him look like that! Stunning, love this idea. Love the Santa hopping from one roof to the next. Love this as a home décor item. It's precious and I'd love to have it in my home this Christmas (guess I'll have to make one now!). Turned out amazing! What a great idea! Thank you! I was very pleased!